In this spectacular challenge, some very smart people drew some incredible comics. I don't understand the teach the controversy point of view. If I were required to teach intelligent design, I would have to also explain how it does not possess credibility as a scientific idea. As a science teacher, I teach science, based on experimentation and logic. If I didn't have to do that, I might as well teach astrology, alchemy, or phrenology. 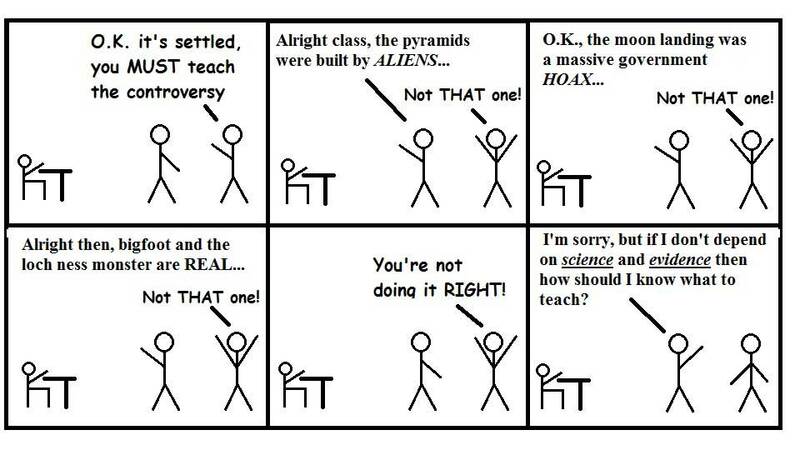 I wouldn't mind talking about them, but not teaching them as scientific alternatives to astronomy, chemistry or neurology.